People should always scan any files they download from anywhere, this isn't restricted to SVG. SVG is rather safe, in that respect, as it's just text, and anything un-SVG will stick out (except for raster images...). Ok, some filters in action -made with the intention to be used as a cover page for the "series". What a coincidence... hope I'll not repeat the exact same thing as previously with reporting bugs of the gradient mesh tool already fixed in the devbuild. They even started to work on it (Mc did) - but it has been disabled for now, as far as I understand the commits. Perhaps we should start getting you to try out the dev version? May I just add that many are probably like me, lurk but don't post. How to load them and use them are difficult enough, but development is out of the question (Brynn and I took a stab a couple yrs ago, got nowhere fast, lol). So most of us really can't add any value to posting about it, that's why there aren't many posts. 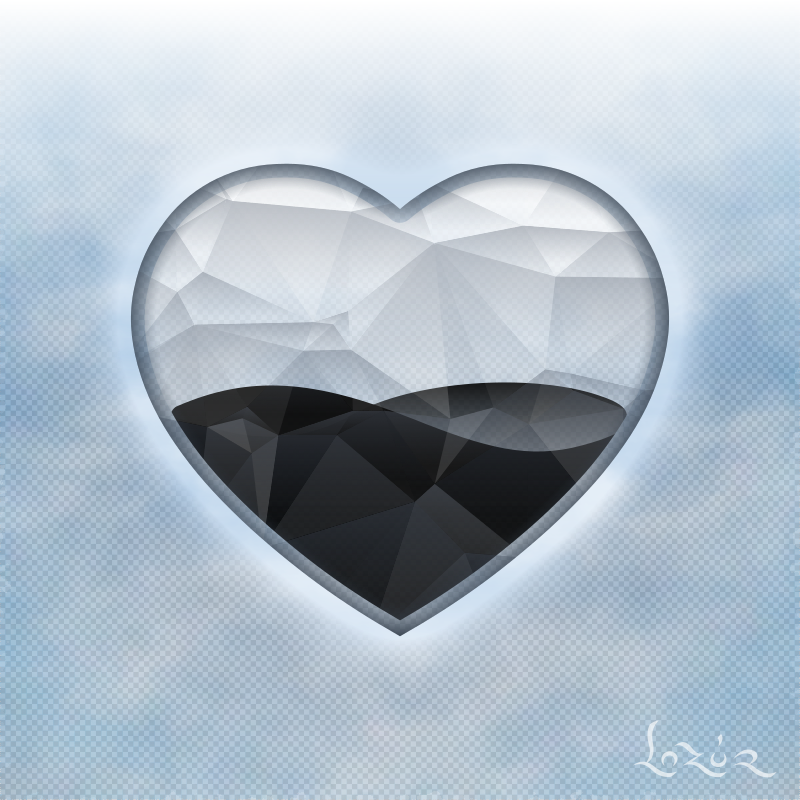 Lazur, I love your filters, and you have taught me more about Inkscape than you'll ever know (thanks, that's not an easy job either, lol). Filters are way out of my league, I so wish there was a manual or general instructions that we could follow, on how to develop them, what order to put things, etc. I'm also really surprised that DA doesn't take SVG's, maybe due to the memory it takes? Maybe they feel like we should upload jpgs/png's there? or do they accept EPS files? Haven't been there in awhile. Here's the tutorial I was telling you about the other day, Dee: http://tavmjong.free.fr/blog/?p=1451 That's part 1 of 2 parts. I haven't had a chance to read it yet myself. flamingolady wrote: May I just add that many are probably like me, lurk but don't post. How to load them and use them are difficult enough, but development is out of the question (Brynn and I took a stab a couple yrs ago, got nowhere fast, lol). So most of us really can't add any value to posting about it, that's why there aren't many posts. Lazur, I love your filters, and you have taught me more about Inkscape than you'll ever know (thanks, that's not an easy job either, lol). Filters are way out of my league, I so wish there was a manual or general instructions that we could follow, on how to develop them, what order to put things, etc. As -probably hiped too early- written above I'm trying to organise my thoughts about it for a sort of easy to follow manual/guide, from the very start to more complex examples. Once finished, would like to think that filters are no more of a different league. brynn wrote: Here's the tutorial I was telling you about the other day, Dee: http://tavmjong.free.fr/blog/?p=1451 That's part 1 of 2 parts. I haven't had a chance to read it yet myself. After a few pages you will see a way to make a fabric filter all in one go. Speaking of pages, just recently finished with the first two. „...A filter effect consists of a series of graphics operations that are applied to a given source graphic to produce a modified graphical result. 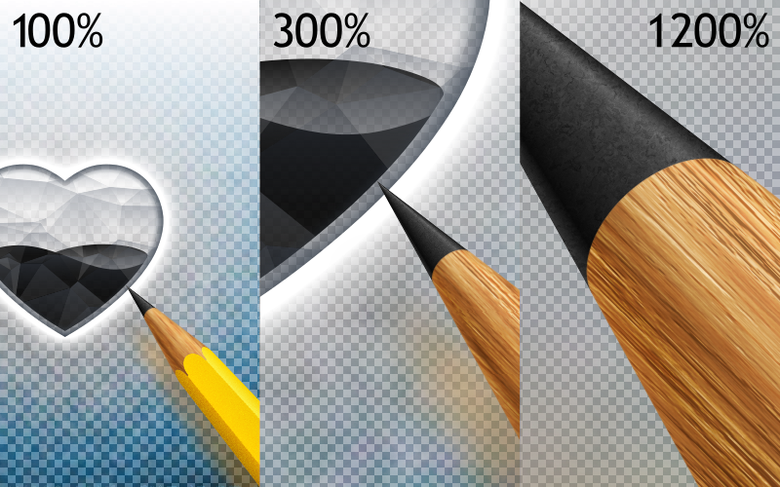 The result of the filter effect is rendered to the target device instead of the original source graphic. ...” -as written in the svg standard. Design-wise it means endless possibilities to alter the graphical appearance of parts of our images. You can select any object in your document and add a filter to it. Different renderers may differ by how they implement the process described in the filter being used. You may not get the exact look through a browser as with inkscape, and the rendering may take too much resources for an svg to load. Unfortunately, pdf format doesn't support filtering, so if you want to share or print your images, rasterizing the filtered objects is the only way for preserving the appearance. Besides these, due to the procedural nature, rendering the image can be done at any resolution. That means you are not bounded to a certain image size unlike with a raster imag editor. Everything is (supposed to be) rendered live, on the fly. This advantage has its price on the rendering time and resources used. Using complex filtering can result in a crawling machine. -Hope there is no typos, because the same text is also present in the svg file. Brynn - thx for that link, will def give it a look. Presently, I'm trying to reload a couple of filters that evidently got erased with the .92 upload. Wondering if there's a file to save to that won't delete it for the next version. I always get confused between storing in app data or usr/share etc etc, lol. I'm just happy that it works. Off topic - my new fav thing, just found the power stroke. always something new to play with here. It's going to help me a lot. Yes dee, if you put the filter in C/username/AppData/Inkscape/filters, it will be available for any version of Inkscape to use. If you don't see a filters folder there, you can make one. Note that AppData might be hidden. We can tell you how to unhide, if necessary. Edit to update: I may have found my own answer, basically have made/saved a copy of my filter just about everywhere, until it finally worked! I opened my preferences menu and discovered that my files are in my hubby's user name, not mine! However, Inkscape preferences (input/output under system) won't let me edit where my files are located (so that's a new issue). Therefore, I added the test filter to my hubby's appdata... and guess what, the filter now appears in my filter menu! yay! doing the happy dance. whew, this one wore me out. still not sure how to chg the preferences box. that's one for the books. ok, question re installation of filters. Maybe it should be moved? not trying to hijack this one. I'm unable to install Lazur's filters or anyone else's for that matter, and since it was brought up on the first page, here I go again. what am I doing wrong? I first followed V1nce's instructions (pg 1) - 'you can edit /usr/share/inkscape/filters/filters/filters.svg to add new filters' - that didn't work for me. What I did was open up the svg that contained the filter (ex, pool/water ripple filter), then save it in the usr.... folder as it's own file. I thought this would add the pool/water ripple filter to my Filter menu. didn't happen. Then I followed Brynn's instructions of adding it to the Appdata... that also didn't work. I even rebooted, because I remembered that for it to take effect (from yrs ago), that you needed a restart. If I open the SVG with the actual filter, it works fine, but I really want them to show up in my filters menu. So now I'm really confused. These all worked in the .48, .49 versions, didn't use .91 long, so never tried to reinstall them there. What am I doing incorrectly? Brynn, were you able to install any filters that show in your filter menu? Lazur, on another note, you had a link to where you posted your filters in the alternate Inkscape forum. To be honest, I've never even gone to that site before, not sure I knew it existed. When I was googling for answers to my Inkscape-related issues, I don't recall that site coming up, at least not on my first one or two pages, maybe I never got that far. So maybe that site needs more publicity. No worries, this train came back from nowhere. Speaking of myself I still haven't installed any custom filters. There is not much on that site yet that would solve inkscape-related questions searched. There are about 90 posts only, mostly showcasing different filter packs. On top of that, the main structure of the blog is not helping browsing through all posts in one. Instead, this page is the key -and ths should be a follow-up. -for example if two post's topic next to eachother is hardly connected- it would look off. starting reading from the bottom and continuing to the top. Combined with a post number limit, a topic split to several posts could end up on several pages and then it would be worse. Seemed more consistent to me as it is now not following writing a diary starting from its last page. You could follow v1nce's advice, but then when you upgrade Inkscape, the filter won't be available anymore. Actually you have been to the other Inkscape forum, because you're a member there! I think it was one of the last things you did before offline life took over. https://forum.inkscapecommunity.com/ind ... tion=forum Or you can follow the link in my signature (Click "Inkscape Community"). It doesn't come up in searches as much because it doesn't have as much content as this forum. But it's slowly growing. We just broke our previous record for number of visitors, last week. Well, I loaded the pgm, thought it was under my admin name, but hubby is the computer owner (used to be his laptop). I wonder if .92 can only be placed under the computer owner like you said. I think you may have called it. I installed it in the c:Pgm Files folder, so did nothing odd that I know of in the installation, other than tell it to be placed in the Pgm Folder vs the x86 folder. Glad that mystery is resolved. V1nce's way didn't work this time BTW (it used to), maybe nothing under my name works, that's starting to make sense why an extension (the old env def) didn't work either. Learn something new every day. ** Thought I had lost a couple of filters, then I searched, and here's something interesting. If you upload just one single filter in a file, it gets placed alphabetically under the Filter Menu, BUT, if you upload a file that has more than one filter within it, then it creates a FOLDER under the Filter Menu called 'Personal', and places them individually under there! I love that. For a minute there I thought my filters were possessed, as they had diff names, but then I realized it picked up the name I had given the filter, not the name of the file. Now am wondering if there's a 'Personal' folder we can place our own filters into directly, as it's not a sub-folder that I can see, and I haven't seen it anywhere in my Appdata folder. Maybe I'll stumble upon it, but I 'm a happy gal at the moment. Brynn - that's your site - oh pardon me, for some reason I didn't recognize it (remember I've been away from the forums for a long time and I only went into Lazur's thread), not the home page. Shoot, I'm still looking for the old orangish site here, lol. I did actually try to find it last week, and couldn't find my bookmark for it, never thought to look in your signature line here, duh. Will be more active as I get more back into things, and as my health holds out. Lazur - hard to believe you haven't already loaded your filters into the menu! Oh right, I do remember you mentioned about installing Inkscape. I guess it must use the account of the computer's owner. In my opinion, it would be worth a feature request, to make Inkscape installable for use by certain users. Although I don't know, maybe not that many people share computers anymore? Maybe it would never be added anyway? I meant to mention about not installing filters too. You don't have to install filters to be able to use them. Like for example, let's say you tweaked one of the filters that are installed, and you don't want to lose it. You can save it in an SVG file in whatever folder where you save all your SVG files. Whenever you open that SVG file, the filter is there. You can copy the object to another file, and then the filter will be in that file too. So for example, maybe Lazur keeps a folder called "My Filters" and there he puts the SVG files of all his filters. Instead of opening Inkscape to find his filters, he just opens the relevant SVG file directly. If you do it this way, you have to open the Filter Editor, to be able to apply the filter to another object (instead of using the Filters menu). I actually installed some of his filter packs, but the dropdown menu scrolls for days! Plus, their names are things like 1A, B2, etc. It might be much easier to save the SVG files with filters in a separate folder, with a more descriptive name. 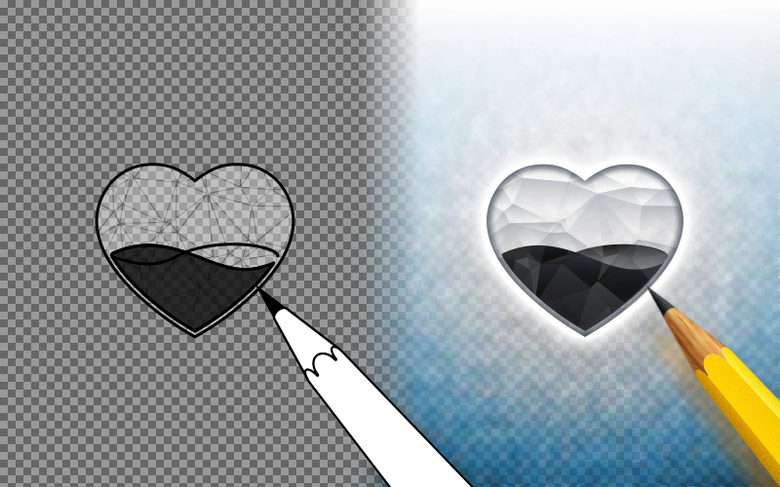 Except having them in separate files, it's hard to experiment with different filters. When I'm thinking of using a filter, I often try one after the other (with Undo in between) until I find something close to what I want. That would be impossible if they are in separate files. But for the person who made them, he instantly knows which file to find them in! Please feel free to make a feature request, great idea. (I don't feel tech savy enough to attempt that just yet), I can bring them my issue, but no ideas for a fix. I would prefer if I could at least choose which user to attach to it. Wonder if it could be accomplished via an option in the Preferences menu. I think at some point, yrs ago, that I had to go in as the main user, and install Inkscape in his user name in order to do some things, which is pointless, as my hubs would never use it. I also use filters the way that you described. That's how I ended up with several on one svg, so I could play with them. When I get to saving Lazur's filters, I will probably copy/place several on one svg file and rename them to where I can easily understand them. BTW, never did find a folder named 'personal'. Now wondering if I had another svg with several filters and saved them, if it would put them in the Personal folder or create a Personal2 folder.... will have to play with it at some point. A lot of the filters I've installed went into the Personal submenu (which wasn't there until I installed the filters). Some have gone into the ABCs submenu. And others have gone into already existing folders. I think it's something about how the filter is made, which determines which submenu it goes into. But I don't really know, that's just my best guess. To be honest my filtr folder is hard to track either. There are times when I simply follow the tematic links on this page, and then look up the locally stored svg-s of the same in my folder as on openclipart. These packs are containing variants of the exact same rigging/filter chain link. Therefore it would be more straightforward [i]if they could[/url] have a settings panel as with all filters with ... after their names. Usually when I'm looking up a file with a filter inside, I'm finetuning the filter in the drawing in progress. Like with wood filters probably I'd roll in this one-or the recent pencil above a few posts. Not sure if you had read the readme file next to the filters.svg. This directory is for the custom SVG filters. and makes them accessible via the Effects > Filters and its submenus. These are then put into filters.svg.h in order to make them translatable. So it seems you can create a subfolder as well in the menu. To be more organised, started a new topic here on the guide. thx Lazur. I have never seen a readme file re: filters. And in reading it, I'm still confused, have no idea what any of that 'really' means, lol. Haven't heard of filters.svg.h I am going over to the new topic. I agree with you about the quality. I've tried to use OCA to find a stock image now and then. But I have yet to find a decent image there. Even using most popular or favorites (or whatever they call it) for filtering. That's not to say there aren't good images there. Just that it's hard to find them. Lazur, Those are really cool effects. The rabbit eyes remind me of my alcohol inks, love it.